As a garden designer in Hertfordshire I think it’s really important that our gardens work for us in the winter months. You can do this by creating a ‘focal point’. It will add interest and colour at a time when most of your other plants have died down. By making a statement with plants or a structure you can lift a dreary area and make it one you enjoy looking at. 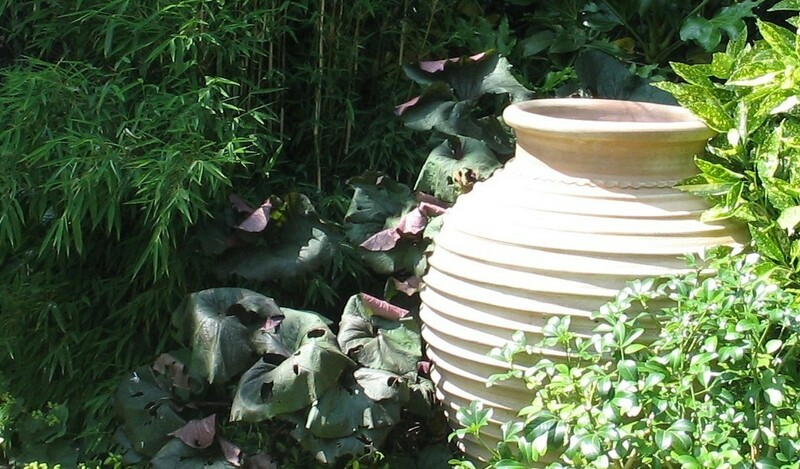 Probably the quickest and easiest way to create instant winter interest is with a planted container on the patio. Plants like heathers, pansies and skimmia are perfect for this and many of us already do this. Why not experiment though and use some alternative plants? 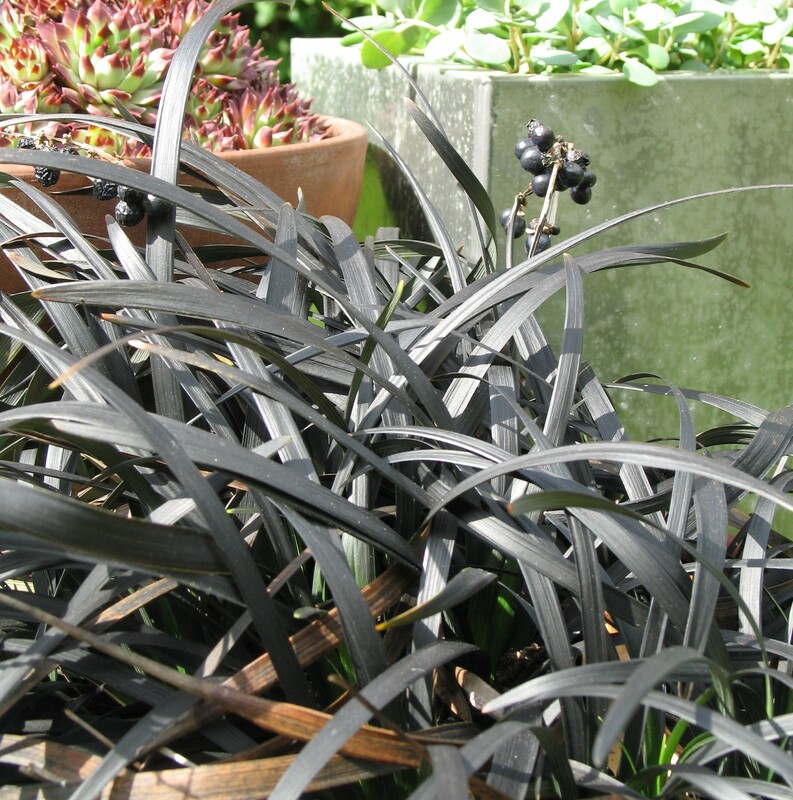 Most grasses thrive in containers and if you group together a selection in attractive pots you will instantly create a more contemporary feel. Carex are evergreen sedges that come in gold and reddish bronze shades and are great for adding texture to winter tubs. Hard landscaping like paving and steps often look bleak in winter but can be softened with grasses that will bring colour and movement. Fargesia murieliae is a bamboo that is compact and grows well in containers, place it with black grass Ophiopogon planiscapus ‘Nigrescens’ and a Japanese maple for a stunning display. These plants are not cheap, however they will provide permanent interest for years and not just one season. Another great investment for gardens is a specimen evergreen that you can place either side of an entrance to frame a door. Clipped box (Buxus sempervirens) are traditional choices and look fantastic, though many people find them too formal and expensive. I think standard bay trees and conifers work equally well as does ivy that has been trained up a topiary frame. Another way to accentuate an area in your garden at this time of year is to use architectural features such as obelisks and arches where you can plant winter climbers. The evergreen Clematis cirrhosa var. ‘Freckles and ‘Wisley Cream’ are my favourites for this and will provide additional structure and colour in winter. Larger features such as arbours, urns and benches also make great focal points and come to life at this time of year especially if surrounded with an evergreen backdrop. Nice post! I am working on cleaning up my garden for the winter! I have bought few plants that sustain the cold climate and fire pits to enjoy the place in winter.